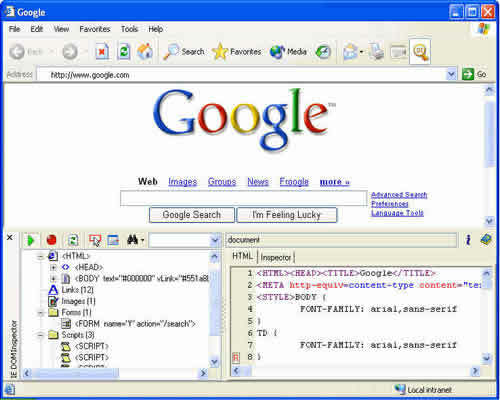 A plug-in for Microsoft Internet Explorer that allows you to Inspect and edit the live HTML DOM of any web document. IE DOM Inspector is a plug-in for Microsoft Internet Explorer that allows you to inspect and edit the live HTML DOM of any web document. What does IE DOM Inspector do for you? Find hidden information about that web document. Inspect element by clicking on webpage. Search for particular elements by ID/Name, tag name /class, or attributes Text. Get the full name of HTML DOM Node. Inspector Parker Game - Something foul's afoot at Misanthorpe Manor, and it's going to take a detective with a keen eye and a mind to match to solve this mysterious puzzler.